Pension auto enrolment is looming fast for many companies in the next few years. The Pension Regulator is taking a health interest in what certain sectors are doing to meet the challenges and avoid non-compliance. Recently the Pensions Regulator http://www.thepensionsregulator.gov.uk/ has visited firms in the recruitment sector. As a result of information gathered from the visits, the Regulator will be issuing compliance guidance tailored for the recruitment sector. The Pension Regulator wants to ensure that organisations comply as well as wishing to establish a pro compliance culture. The regulator’s automatic enrolment compliance and enforcement team visited a number of recruitment employers where they were able to have an in-depth look at how these employers are implementing automatic enrolment. The recruitment sector faces significant compliance challenges and the Pension Regulator decided it was particularly important to target because more than 1,000 recruitment employers are due to reach their staging date between April and July 2014. The Pension Regulator is urging the industry to make sure their chosen pension scheme and software provider can meet their needs. Employers must start communicating with providers in good time and test payroll systems ensuring they allow enough time, before their staging date to address any complications. Employers must also plan how they will best communicate with workers and leave plenty time to accurately assess their workforce. The Pensions Regulator recommends that employers should have providers and advisers in place at least six months before their staging date. The staging date is the date when an employer’s automatic enrolment duty is switched on. Staging date information is available on the Pension Regulator website and employers can create their own individual plan from the the timeline. The Pension Regulator recommends that preparation is started 12-18 months before the staging date. 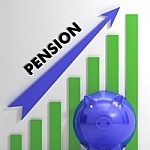 Pension Auto Enrolment – Pension Crisis? Pension auto enrolment is forging ahead, a government initiative that began in October 2012 with the largest companies required to implement the statutory process. Workers will automatically be enrolled into a pension scheme organised by their employer which can be a company pension scheme provided it meets certain criteria or NEST (National Earnings Saving Trust) which is scheme set up by the government. The government has introduced pension auto enrolment to solve the pension crisis as workers in the UK are not saving enough money for their old age. With pension auto enrolment workers are automatically enrolled into a pension scheme by their employers but have the right to opt out. Every three years they will once again be auto enrolled unless they opt out. Apparently the signs are good that many employees are taking up pension auto enrolment. Currently 3% of salary is paid into each employee’s pension pot (2% contribution by the employee topped up by 1% from their employer). This will eventually rise to a maximum of 8%. However a recent Channel 4 Dispatches programme “What’s Your Pension Really Worth?” has questioned whether if even 8% will be sufficient to build up satisfactory contributions for a person to live on. It contained interviews with older people who consider property to be a better investment, however, for the majority of employees in the UK that is an impossible dream so their only option is to pin their hopes on saving into a pension. However it is possible that many people, even if they have saved into a pension pot, will not be able to afford to retire and will have to continue to work. Research done recently showed that 1 in 7 workers believe they will never be able to retire. Statistics produced by the Office for National Statistics’ Labour Market Survey showed that in January to March this year almost one million pensioners are still in employment. This perhaps shows that it is important to start saving for a pension early. The trouble is young people have so much else they want to spend their money on – going out, clothes, a mortage, a family, etc. There are many barriers to creating a healthy retirement fund. Under automatic enrolment rules, companies only need to ensure that 8% is paid in from earnings between £5,668 and £41,450. No contributions need come out of earnings above this amount. Lower charges would also help. But the millions of workers put into the Government’s flagship auto enrolment scheme, NEST, are unlikely to see fees reduced for many years. NEST was recently hit by £1.4m of fraud and has a huge loan to pay back the government. Time will only tell whether pension auto enrolment has hit the mark with the pensions crisis, however, in its current format, the signs may not be good. Comments Off on Pension Auto Enrolment – Pension Crisis? Pension Auto Enrolment – How Are Employers Doing So Far? The drive to implement pension auto enrolment by the government has been in place for a little while. The inititative was lead because private pension saving declined in the UK, probably impacted by the global recession leading to a drop in people saving for their old age as well as undersaving. The Pensions Regulator has issued 32,000 letters to organisations with staging dates from January 2013 to September 2014. From January 2014 small to medium organisations (SMEs) will be affected and will need to commence pension auto enrolment in accordance with their staging date. The Pensions Regulator has recently completed an analysis on progress with UK employers and provided a commentary on how they are coping with the process so far. Most employers are now aware of their obligations in respect of pension auto enrolment in that they have to automatically enrol UK workers, provide a qualifying pension scheme and make contributions however detailed knowledge of the finer points of implementation are lacking. The awareness of employers with their obligations has grown more and more perhaps due to the TV adverts promoted by the government where celebrities such as Nick Hewer, Karen Brady and Theo Paphitis are seen saying “I’m in”. Awareness has grown more with micro and small businesses but percentage wise is very low compared to awareness in large organisations who seem to be very aware of their staging date. Larger organisations are also more likely to have a more detailed knowledge of changes in pension law compared to smaller organisations. Awareness of pension law changes has increased with intermediaries such as accountants and book keepers particularly if they advise small businesses. Awareness with pensions consultants, pensions administrators and IFAs who advise large organisations close to their staging date is very high. Over 3/4 of larger employers think that pension auto enrolment is a good idea in principle. Whilst many large organisations feel they will be able to cope with the administrative burden of pension auto enrolment only 48% of micro businesses have indicated confidence in being able to do so. Most large organisations said they would not leave things to the last minute to implement pension auto enrolment compared to 40% of small and 66% of micro businesses who said they would. 50% of large organisations and 65% of medium organisations felt it would be easy to cope with the changes compared to 57% of small and 42% of micro businesses. Large employers have tended to be the most prepared for the changes, with most having started some form of preparation, and with more now in the implementation stage than in spring 2012. Most large employers were also confident that their organisation would have done everything it needed to by the deadline. Only 18% of micro employers have begun preparation and lack confidence that everything will be done by their deadline. The main concern about pension auto enrolment for SMEs is the cost of implementation. Micro employers are also more concerned about the administration and communication to workers. Many large organisations have already consulted with an external advisor to seek advice whereas many SMES plan to gain external support in future. Many pension consultants are already getting actively involved in providing technical advice to their clients, but it is advice rather than hands on support with the expectation that their clients will undertake many of the admin activities themselves. Many book keepers and accountants are undecided on the type of support they will provide to their clients. Potentially many small and micro businesses may be lacking in the support available to them. Many employers felt the penalty for non-compliance would be a fixed penalty or fine. The Pensions Regulator has already opened 89 investigations into non-compliance with large organisations who have passed their staging date and took no action. The investigations have focused on employer readiness and helping employers become compliant. No one has yet been fined for not complying however, this may change in 2014 when the huge number of SMEs will be affected by the change in pension law. To conclude it would seem that although larger organisations seem to have everything in hand, potentially SMEs may struggle to cope with the necessary burden and should seek help well in advance of their staging date if they are unsure of what to do so they avoid any investigation by the Pension Regulator for non-compliance. Comments Off on Pension Auto Enrolment – How Are Employers Doing So Far? Pension Auto Enrolment – Employers Are Your Ready? In accordance with the Pensions Act 2008 from October 2012 UK companies must have a pension in place into which employees will be automatically enrolled. This could be an existing pension eg group personal pension or stakeholder pension so long as it meets the qualifying criteria. However if a company does not have a pension scheme in place or do not introduce one then they can adopt the government’s scheme, National Employment Savings Trust (NEST). There is no obligation to offer the NEST scheme to employees. Although its structure may suit some companies, it may not be suitable to others. However, it could be possible to offer a company pension scheme to some employees and NEST to others. NEST is designed to simple and easy to use. The government has decided to introduce this to make it easier for people to save for their retirement as many are not currently doing so and to alleviate the ticking time bomb of the pension burden as the population grows older. Auto-enrolment for pensions will impact on all employers between 2012 and 2016 depending on the size of the company and the number of employees, which will be established from PAYE records. A company pension scheme must be compliant with government rules and companies must pay in contributions from both the company and their employees. UK employers will be required to contribute a minimum percentage of each employee’s eligible earnings into a pension. Employees will also need to pay a personal contribution into a pension. The total minimum percentage contribution required of both employer and employee is being phased in. In 2012 the minimum percentage is 2% rising to 8% by 2018. Contributions can exceed this amount however. These are eligible workers. There are also non-eligible workers who fall outside the age range of 22-74 earning above £5,564 and below £8,105, they have the right to opt in and entitled workers who earn below £5,564 per year who have the right to join the pension scheme. It is important to identify what category the employees fall into. Employees are able to opt out of the scheme within one month of membership. Any contributions they have made in that time must be refunded. Employees must be identified for auto enrolment once every three years. It is important to prepare early in good time for the appropriate staging date. Companies need to nominate a key contact in the company who will be responsible for pension auto enrolment. Once the assessment stage has been completed it is important to communicate the changes to the workforce with the correct template documentation. Once implemented pension records need to be keep for at least six years. It is against the law to coerce employees into opting out of pension auto enrolment. For companies who fail to comply with the statutory legislation the Pension Regulator has the power to impose huge fines. Comments Off on Pension Auto Enrolment – Employers Are Your Ready?